Hello! 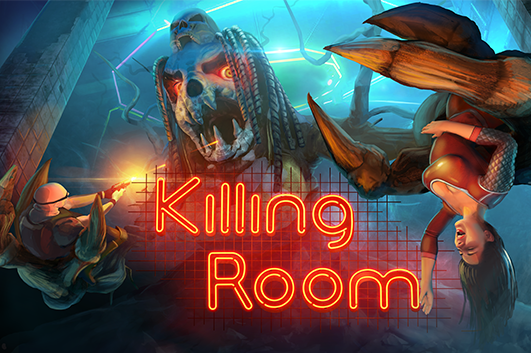 We are happy to announce that Killing Room is almost complete and we already launched its “Coming Soon” page on Steam. Everyone can now add it to their wishlist to be informed when game is released, when it is on sale etc. You can do so on its Steam Page. You can also watch video with epic boss fight from the first level of the game – and each of 9 levels will have unique boss with unique intro animation so you this is just taste of what will game offer!